It is only the full and perfect knowledge of what Christ is and does for you that can bring you to a full and perfect Christian life. In this commentary on the book of Hebrews, Andrew Murray explains how you can gain steadfastness, perseverance, and progress in your walk with God, so that you will always live in victory. 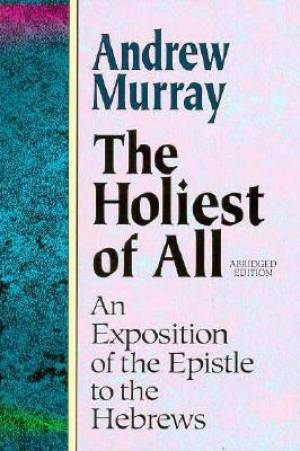 Hebrews : Holiest of All by Andrew Murray was published by Baker in January 1997 and is our 13205th best seller. The ISBN for Hebrews : Holiest of All is 9780801057632. Be the first to review Hebrews : Holiest of All! Got a question? No problem! Just click here to ask us about Hebrews : Holiest of All.